As you prepare yourself for the new stage of your life, you’d better clear all the predetermined beliefs you might have at the moment as, most likely, most of them are not true. This list of common myths about a freshman year will be an ideal guide for you what notions are best avoided. Like in common movies, you are probably thinking that you’d meet a couple of fantastic individuals during the first day of your orientation who will become your best friends right away. While it surely can be true, in most cases, unfortunately, by the time the second semester rolls, most students don’t even see their orientation buddies anymore. There is nothing bad in meeting and communicating with new people during the orientation, just try not to see every single person as your potential BFF. Soon you’ll be caught up in different dorms, classes, clubs, etc. and unless you both exchange numbers or find each other’s Internet profiles and really make any effort to hang out together at least once in a while, you’ll most likely separate your ways right after orientation days are over. During the first weeks, you will be overwhelmed by all the new things you have to go through and by the variety of different interesting activities to try on campus. While it can be tempting to join as many different clubs as possible, it’s important that you don’t. We don’t say you don’t have to get involved at all, we say you cannot jump above your head, so you better don’t commit to more than you can handle. While arriving on campus you’d see some people already moved in and made friends. It’s because most schools demand those who rush a sorority to move in a week earlier. If you thought that sorority life is not for you and now second guess your decision, don’t worry! If you are interested but missed your chance in the fall, there is usually an informal recruitment in the spring. Just try to understand that whether you are in a sorority or not will not influence the number of people you befriend or fun you have. There will be tons of other opportunities to meet new people so let the fear of having nobody to hang out with go and stop being ridiculous. It can actually be true if you don’t do any actions to prevent it. 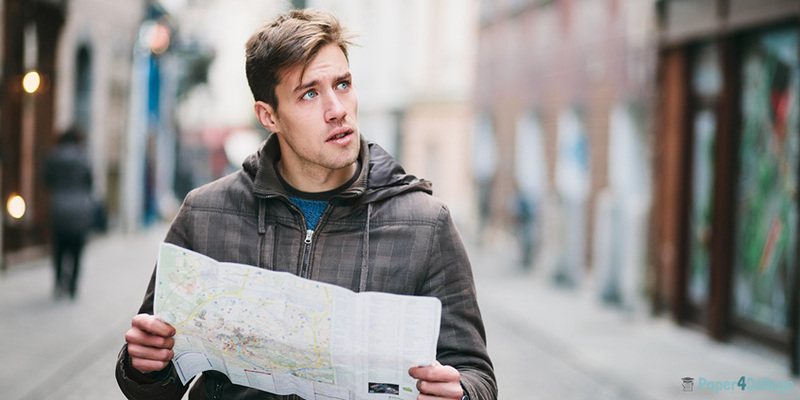 Finding your way to classes can be difficult and, considering that most schools have a large campus territory, it might be very easy to get lost. To calm this fear, you might spend a couple of hours exploring the area the day before your classes start. Make sure to find the way from your dorm to the library and other necessary buildings and you won’t have to worry about being lost and late on your first day.